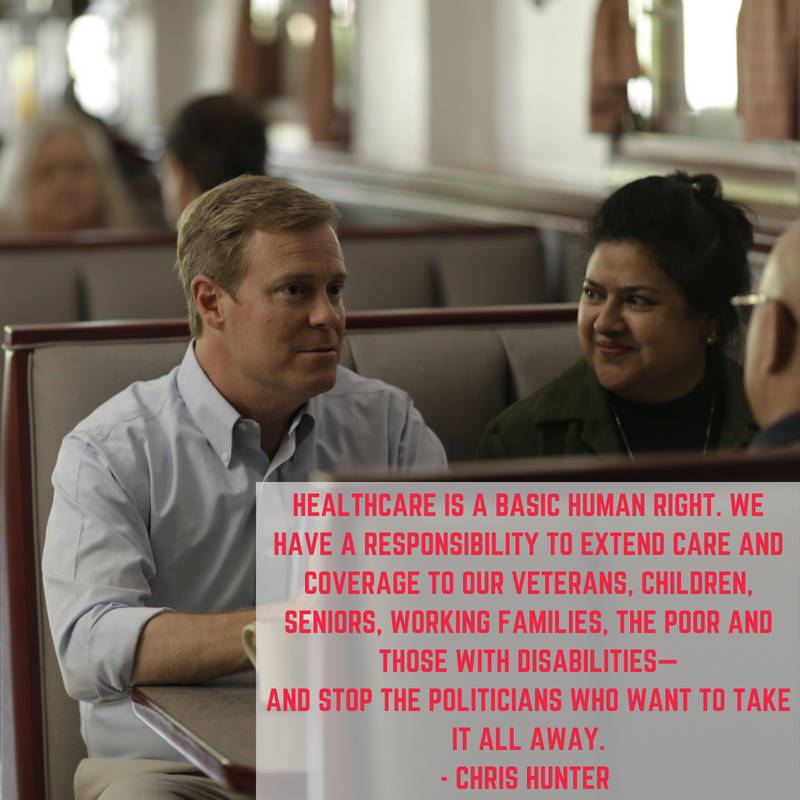 I believe healthcare is a basic human right and it’s one of the reasons I’m running for Congress. We have a responsibility to extend care and coverage to our veterans, children, seniors, working families, the poor and those with disabilities — not roll it back. Trump and Congressional Republicans have repeatedly gone out of their way to destroy the Affordable Care Act (ACA) in every way possible, making healthcare more expensive for those who need coverage and putting critically necessary care at risk. Trump and Congressional Republicans have cancelled billions of dollars in payments that help lower people’s deductibles and copays. Most recently, Trump’s administration halted $10.4 billion in payments for risk adjustment, one of three methods built into the ACA to help insulate insurance companies from risk for accepting all customers for the first time. This crucial part of the law is supposed to help ensure those who need substantial care have access to affordable coverage. Who is left dealing with the fallout from the Congressional Republicans’ assault on the ACA? Hard working families who need access to quality affordable health care. The incumbent I am running against is one of those congressional Republicans who time and time again has voted to take away health care coverage from Florida families. It’s time to take away his vote so he can’t hurt anyone with it any longer. As a federal prosecutor with the United States Department of Justice Health Care Fraud Strike Force, I fought to protect health care programs we all depend on. As a Member of Congress, I will fight for better care and improved access to affordable health care for all of us. P.S. Help us protect the ACA by making a contribution to help get out the vote for our fast approaching primary. Don’t wait, act today!